Electromec Services first became involved with Land Trains through Hendy Leisure who produced and operated Land Trains at Torquay and Poole. 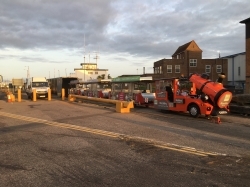 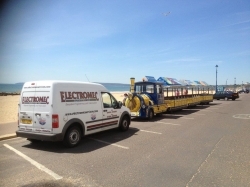 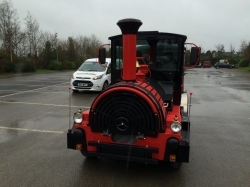 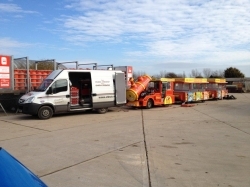 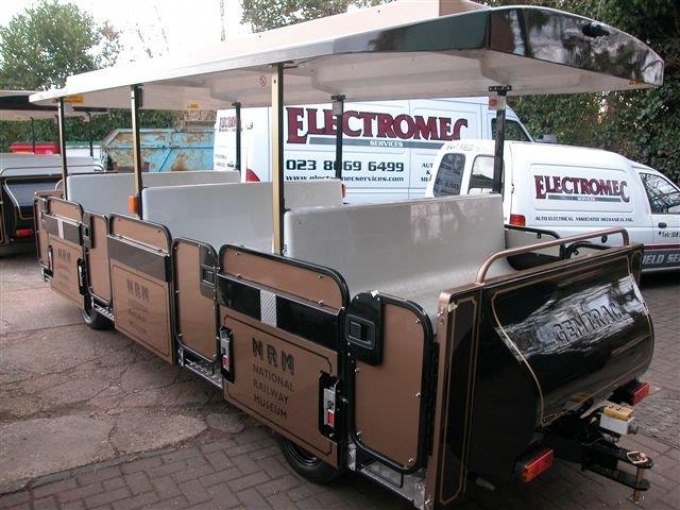 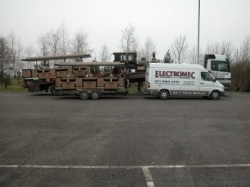 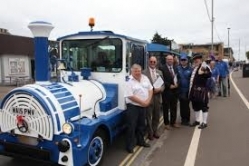 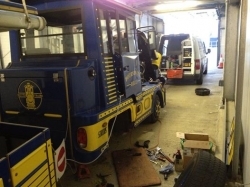 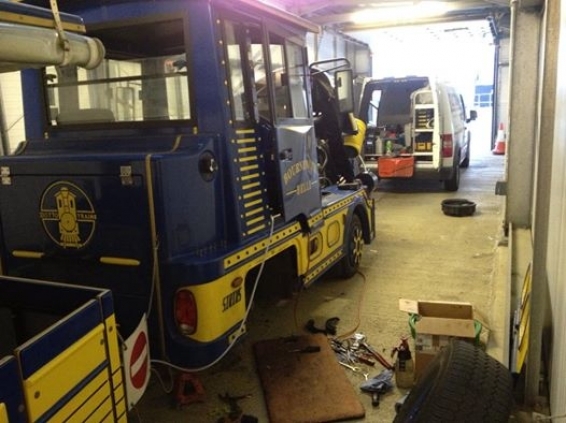 Electromec Services first became involved with Land Trains through Hendy Leisure who produced and operated Land Trains at Torquay and Poole to showcase their products. 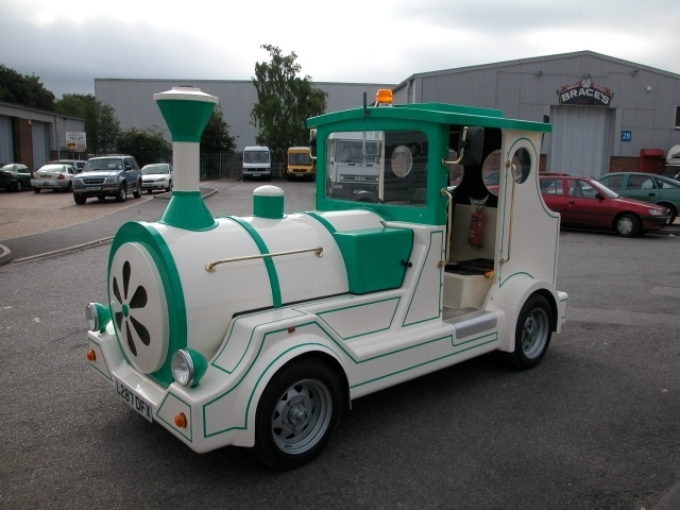 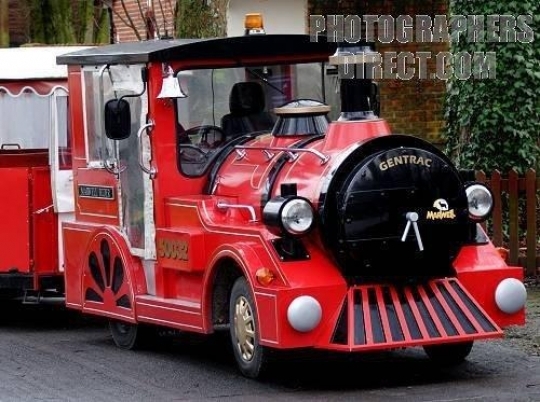 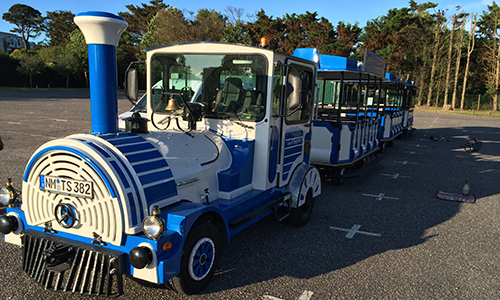 This led to orders from Bournemouth Borough Council , York National Railway Museum and Marwell zoological park. 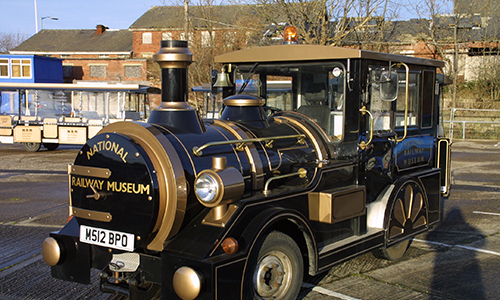 These " Seaside trains " created interest from the likes of Kew Gardens and the National Maritime Museum for a more advanced and subtle Locomotive with carriages. 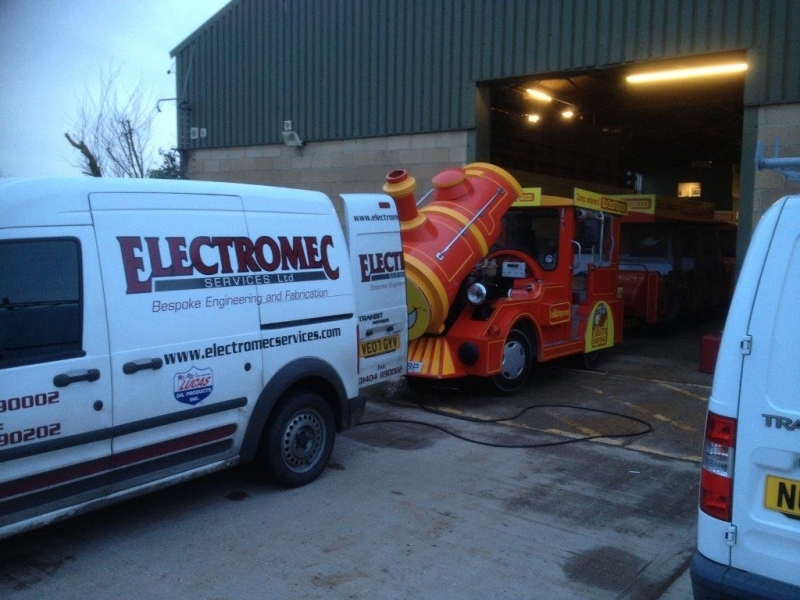 We have been fortunate in that our comprehensive knowledge gained since 1993 has lead Electromec to supporting trains through out the UK. 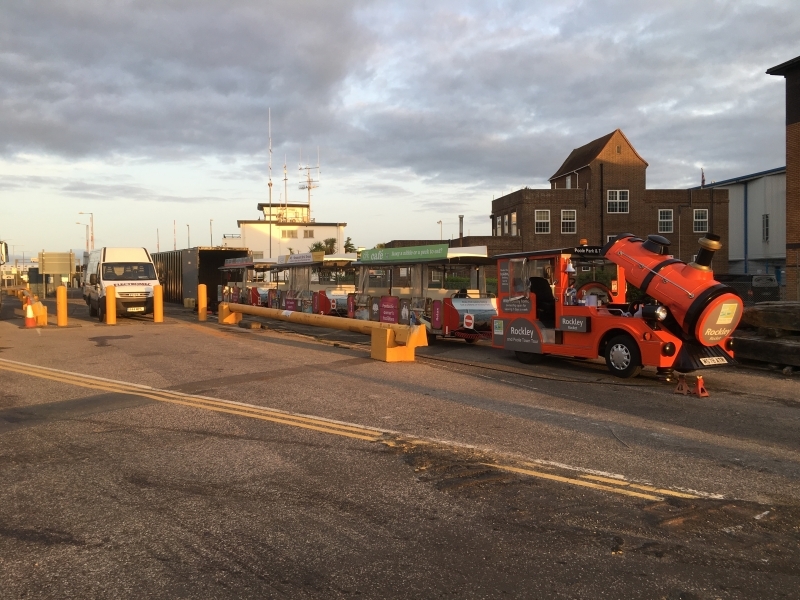 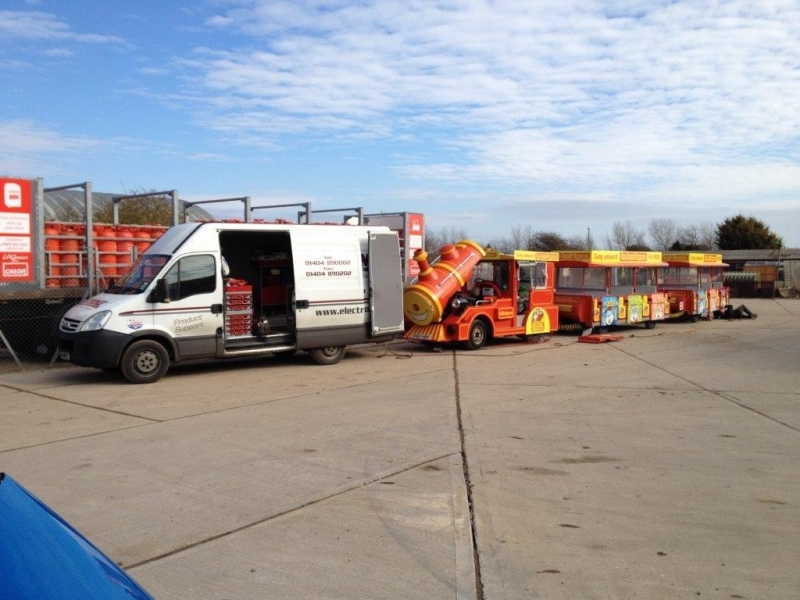 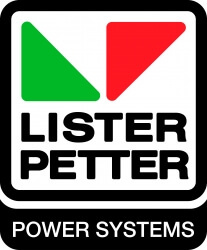 Should you have any enquiries regarding any aspect of Road Trains from advice regarding operation to repair or purchase of new or used Land trains we will be more than happy to offer our advice and experience. 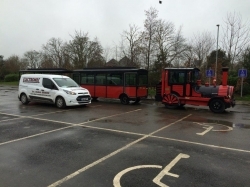 Maintenance of Land Trains and carriages. 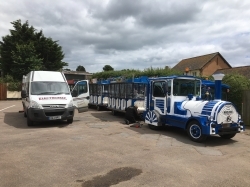 Our Mechanics and Engineers have fully Equiped Vans for atttending site and servicing Land Trains too ensure you remain on the go. 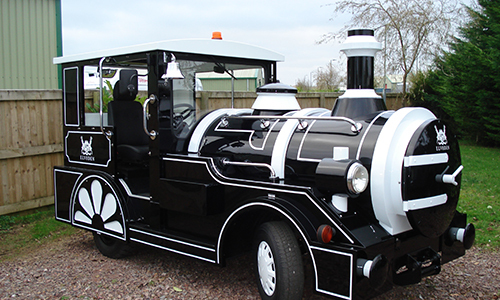 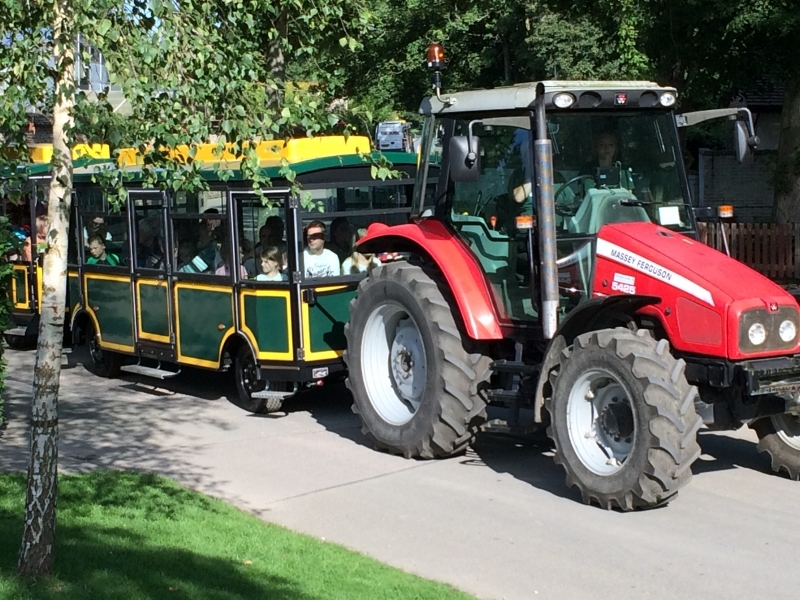 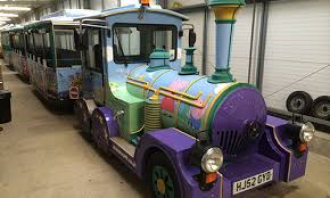 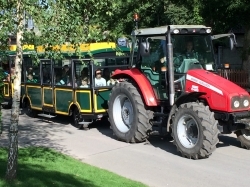 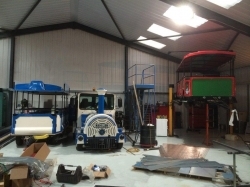 We also offer a once yearly Engineers Certificate when our Engineers will complete a 76 point check and a 400hr service to ensure the Land Train is Road worthy and safe.